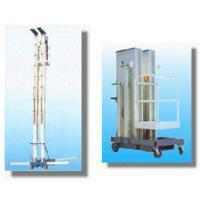 Series Vertical Lift(Maximum height of 5 to 13 meters rose)AC DPL(AC DPL) - Noveltek Industrial Manufacturing Inc. 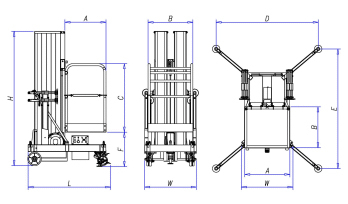 PARALLEL DUAL-MAST (WE CALLED IT AS GEMINI TYPE) DESIGN THAT ENHANCES THE STABILITY AND INCREASE THE MAXIMUM WORKING HEIGHT UP TO 13 METER OR 39 FEET. LOW PLATFORM ENTRY ALLOWS EASY STEP IN & OUT. 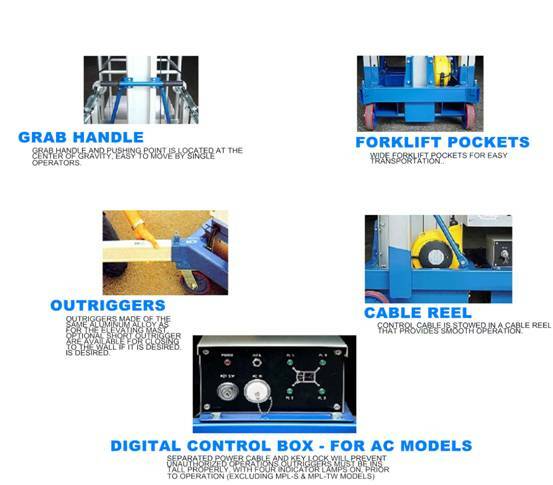 AC POWERED HYDRAULIC LIFTING UNIT GIVES MOST RELIABLE PERFORMANCE. HANDY CONTROL SWITCH ON THE PLATFORM ALLOWS SINGLE PERSON OPERATIONS.